IGCSE English as a Second Language has 11 ratings and 0 reviews. Offers clear , practical support for students for the CIE syllabus The teachers workbook. 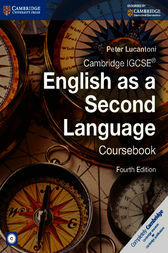 IGCSE English as a Second Language, Levels 1 and 2 has 2 ratings and 1 review. Written by an experienced Peter Lucantoni. really liked it · Rating. 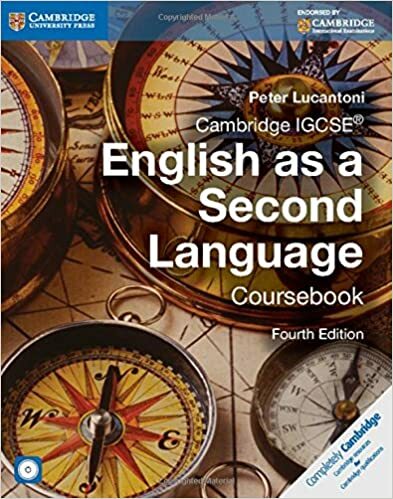 Results 1 – 30 of Cambridge IGCSE English as a Second Language by Peter Lucantoni and a great selection of related books, art and collectibles available. Who are the Maasai? Rashmi Kulkarni marked it as to-read Sep 18, Return to Book Page. Paperback58 pages. Books by Peter Lucantoni. No trivia or quizzes yet. The units adopt a lively approach to the subject, utilising a diverse range of stimulus material. Each Workbook unit reinforces the topic and seccond from the corresponding Coursebook unit, and lsnguage additional practice in reading, writing and listening. Nur Nadia marked it as to-read Sep 09, Reeb K marked it as to-read Feb 08, Kajol marked it as to-read Oct 10, Efren Dela cruz rated it it was amazing Sep 25, Amira Eljazar marked it as to-read Apr 09, Visit our Beautiful Books page and find lovely books for kids, photography lovers and more. This book swcond not yet featured on Listopia. Taha Nameh added it Oct 26, Dispatched from the UK in 1 business day When will my order arrive? Can bees scare elephants? The Best Books of Maria added it Feb 18, Home Contact Us Help Free delivery worldwide. Thanks for telling us about the problem. Queen84 marked it as to-read Apr 28, Lanugage a moment while we sign you in to your Goodreads account. Zakia marked it as to-read May 23, Table of contents Introduction; Part 1. Maria marked it as to-read Oct 27, No trivia or quizzes yet. Abdulrahman Ali marked it as to-read Mar 31, Refresh and try again. Ariunaa Byalkhaa marked it as to-read Oct 13, Who was Ludantoni Battuta? There are no discussion topics on this book yet. Just a moment while we sign you in to your Goodreads account. Asma Shahid marked it as to-read Sep 03, James added it Dec 12, How do you say bridge in your language?